It’s called r/wholesomememes, and it lives up to its name. We hear a lot about all the hate on the internet. Whether it’s blatant racism targeting a movie star or cyber bullying pushing yet another vulnerable teen to suicide, it often seems as though there’s no hiding from the venom and vitriol of the web. This Reddit community — also known as a subreddit — describes itself as “internet for the spirit.” In a society that revels in cynicism, r/wholesomememes is a constant reminder to be kinder, both to the world and yourself. I’ve been a huge fan of r/wholesomememes for some time now, and I wanted to dive a little deeper into the history of the community. To do that, I interviewed one of the subreddit’s creators, Poppwall. For a community that now regularly hits Reddit’s front page, r/wholesomemes had quite a humble beginning. It started with two roommates — Reddit users “Poppwall” and “ilegalimigrants” — and their desire to laugh a little. Poppwall and ilegalimigrants drew much of their inspiration from another subreddit called r/me_irl, which deals in self-deprecating, relatable humor tinged with existential angst. 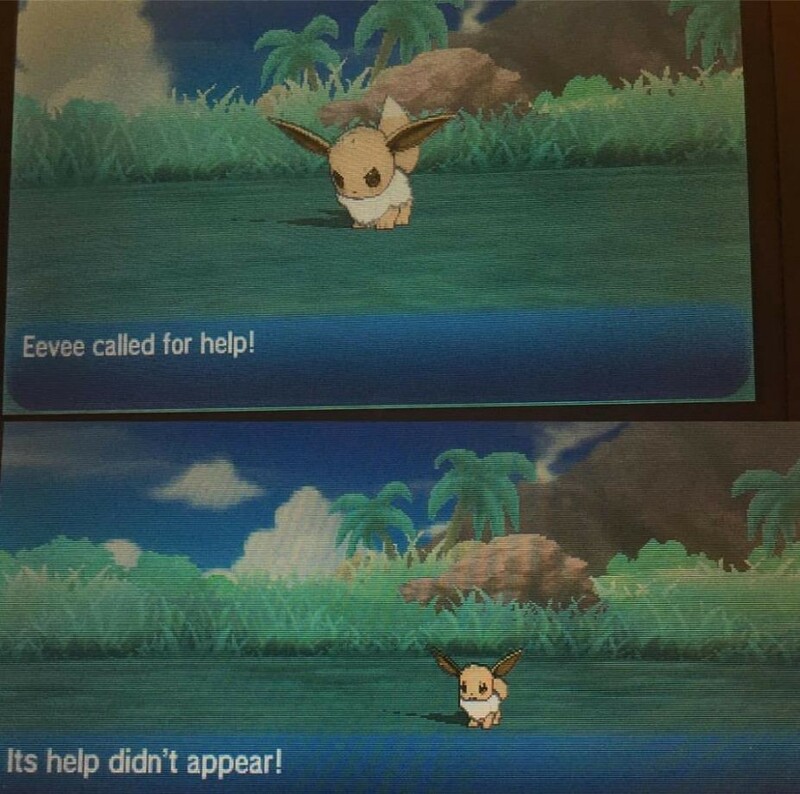 The meme on the left was posted on r/me_irl by misterhamez. 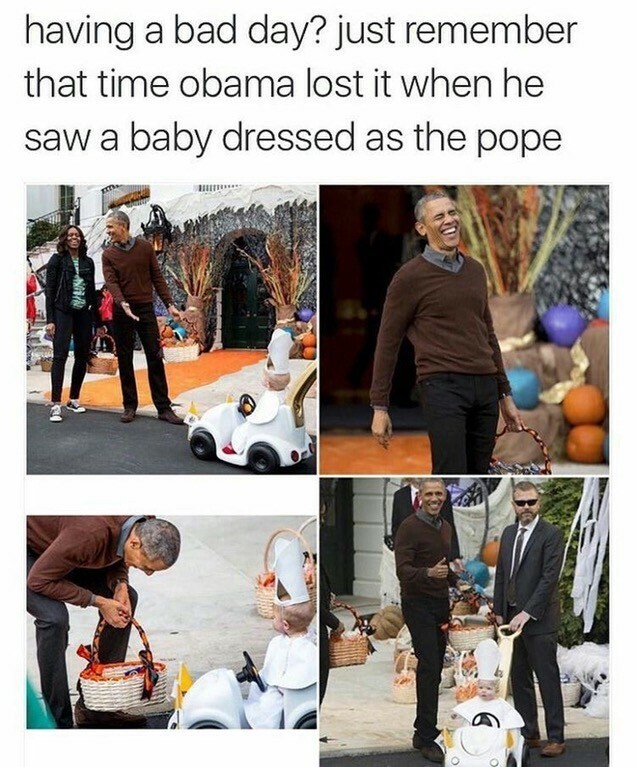 The edited version, right, was posted on r/wholesomememes by Baldemoto. “It was the extremely negative memes turned positive that we thought were so funny initially, so we would go on r/me_irl and change them in MS Paint,” Poppwall said. Of course, good content isn’t always enough to drive traffic. Poppwall’s initial attempt at designing the subreddit with CSS was, in his own words, “appalling.” It took the help of VileVial — a Reddit user with experience in this area — to finally get the community off the ground. Poppwall also credits the tireless work of the subreddit’s entire moderator team as a key to the community’s success. With more than 440,000 subscribers and countless other “lurkers” who view the content but don’t subscribe, r/wholesomememes has picked up a lot of traction since its creation in September 2016. But why the sudden need for wholesomeness? The simplest answer is the dumpster fire that was 2016. It was a year of divisive politics and headline-making tragedies. Major public figures like Prince, David Bowie, Muhammad Ali and Carrie Fisher passed away. Brexit rocked world markets and overall confidence in the order of things. By all accounts, it was a scary time to be alive, and people were looking for any reason to come together. This is the beauty of r/wholesomememes. 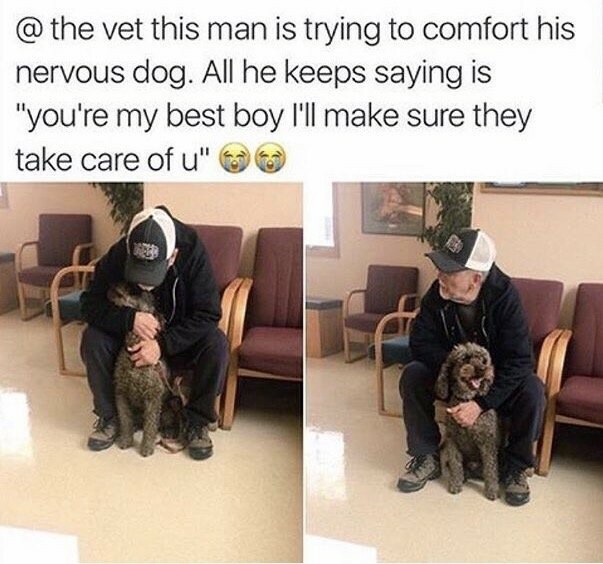 Regardless of who we voted for or what’s happening in our lives, we can all come together and appreciate something as simple as a man’s love for his dog. While 2016 itself was obviously a contributing factor, I believe the roots of r/wholesomememes go a little deeper than that. I think the community’s popularity has to do with one thing the internet — and society as a whole — has been lacking for a while now: sincerity. For some time now, it’s been considered cool to “ironically” love a TV show, whatever the hell that means. Hipsters actively seek out hole-in-the-wall bars, not because they actually like them, but because they want to be there before the yuppies invade. At some point in the past few years, everybody decided they didn’t want to be honest about how they felt. R/wholesomememes doesn’t struggle with this problem. If you ever get a chance to read the comments section of a post on r/wholesomememes — and I highly recommend taking the time to do so — you’ll see some of the most honest people in the world. They openly confess to bouts of depression or tough times they’re going through because they know the community will surround them with more love and positivity than they could ever possibly need. 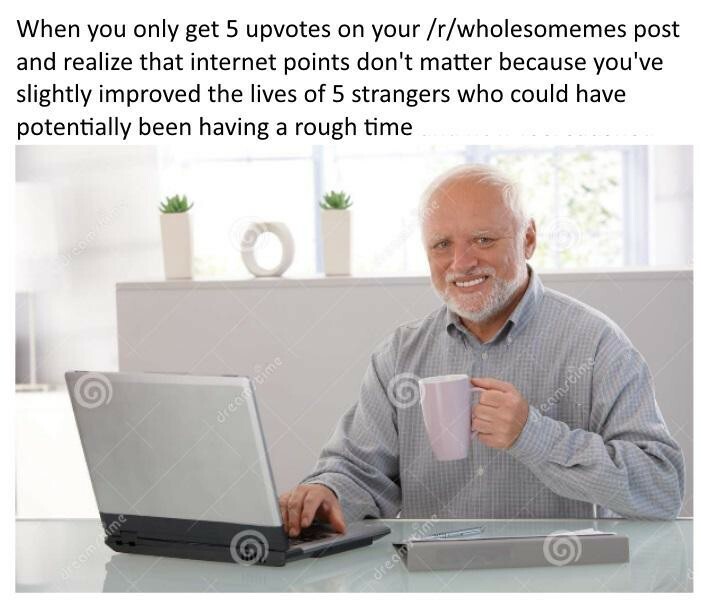 This is why I love r/wholesomememes so much, and it’s why I check it every time I feel down. The community, as a whole, simply decided not to allow the world’s darkness in, and that’s a lesson I believe the rest of us could stand to learn. The internet doesn’t exist. It’s just a conglomeration of human expression — a reflection of ourselves. It puts out what we put in, and if we all started expressing good thoughts on the internet, the internet would become good. 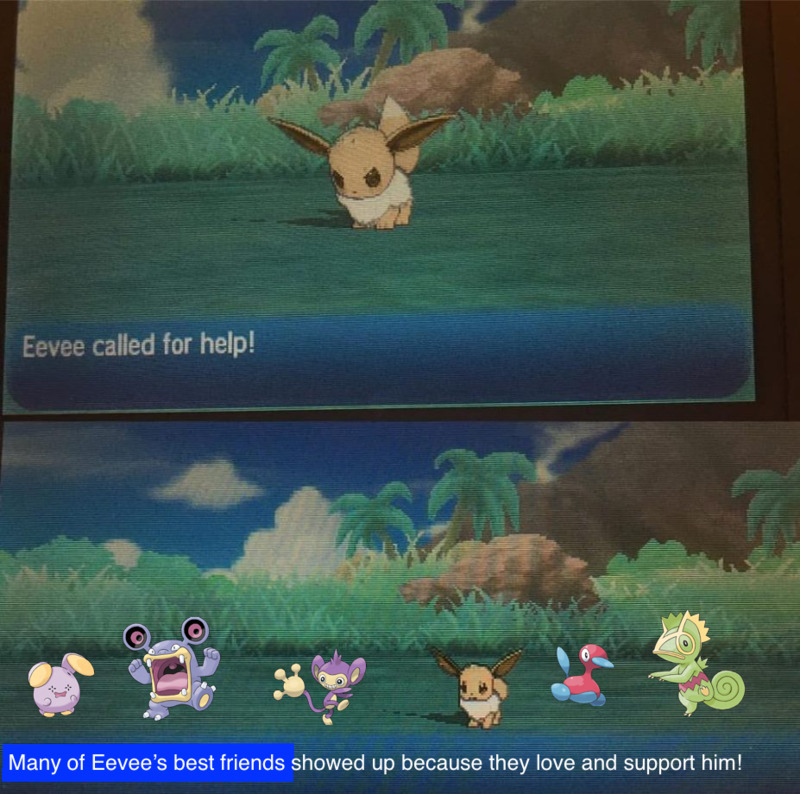 R/wholesomememes’ message of positivity may be unique at the moment, but it doesn’t have to be. We can make it the norm if we put in the effort to be a little kinder.